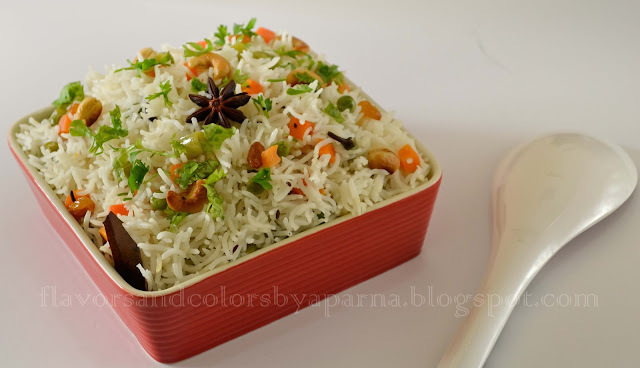 A quick and easy recipe for vegetable pulao which has no onion and garlic in it. 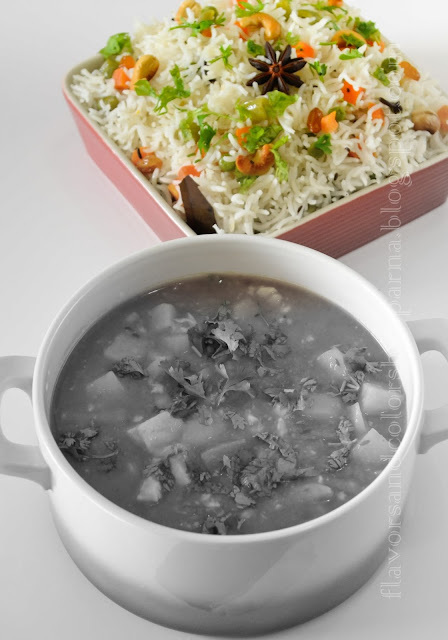 Here I have used black cumin seeds in place of normal jeera that gives a unique and distinct flavor to the pulao. 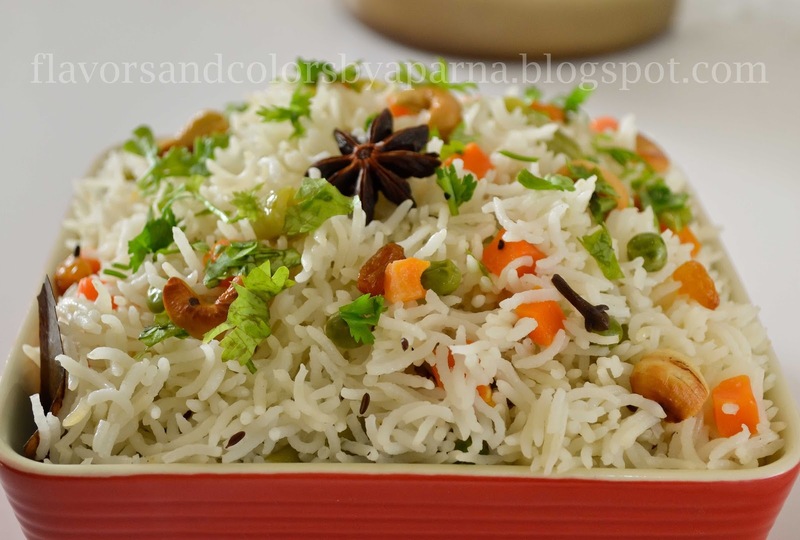 Wash and soak rice for 30 minutes in lukewarm water [I would suggest you follow the packet instructions while cooking the rice] . Drain the water and keep it aside. Heat oil + ghee in a wide pan. Once ghee gets melted, add shahi jeera and the whole spices one by one. Saute it on sim flame till you get nice aroma. Add cut green chilies. Follow it with the chopped vegetables and saute it nicely for 5 minutes on medium flame. Now add water and allow it to boil. Add in the coconut milk, soaked and drained basmati rice. Add salt as per the taste. Stir once [care should be taken to see that the rice grains do not break] and monitor the cooking. Cook it on medium flame until the rice absorbs the water. Lower the flame, cover the pan with a lid and cook it till done. Switch off the flame and allow it to rest for few more minutes. Once done completely uncover the pan and garnish with fried cashews and raisins [optional] and finely chopped coriander leaves. Serve it hot with accompaniment of your choice.